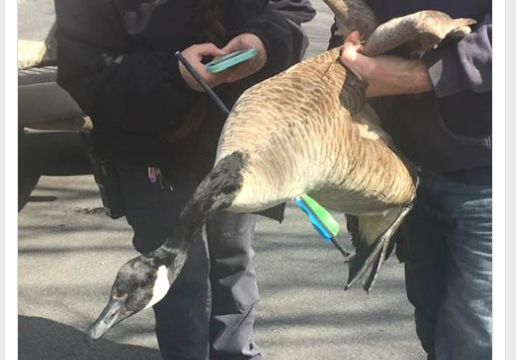 Good news as a goose who was spotted at Cook Pond with an arrow through it has been captured. Fall River Animal Control sent out the following message. Poor baby – Get well soon! God bless to all that made this happen. Karma to the one that did it. Good luck to the baby that has to go through this. For the record that is a “bolt” which is fired from a crossbow not a bow.